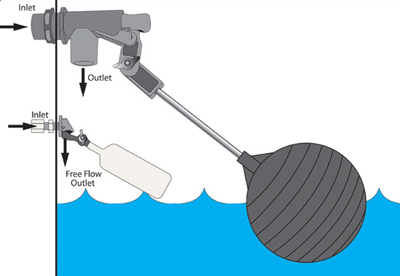 This heavy-duty, non-corrosive, PVC float valve is a standard mount unit with a 1.0” orifice. 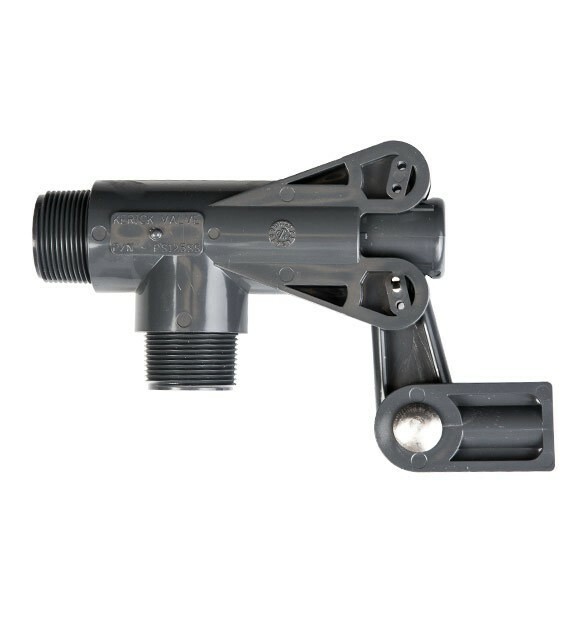 For use with a 5/16” threaded stainless steel rod 14”, 16” or 18” in length and an 8” float ball, it features lever brackets on both sides of the valve to allow it to be used upside-down. Two fulcrum positions on the lever add further flexibility to accommodate different pressures and flow rates.